NYC Elder Abuse Center Launches Social Media Campaign! The recent issue of NYC Elder Abuse Center’s (NYCEAC) eNewsletter features the launch of NYCEAC’s range of social media activities, which are designed to engage professionals in conversations about pertinent elder-justice-related issues, raise awareness about elder abuse, neglect and exploitation and provide educational information and resources. NYCEAC is excited to be part of elder justice conversations online by facilitating learning and thoughtful discussions about the many dimensions of the field. This issue showcases the Elder Justice Dispatch Blog, Elder Justice Visual Podcast Series, NYCEAC’s Facebook, LinkedIn and SlideShare company profiles and NYCEAC’s Events calendar. There are featured articles about NYCEAC’s social media process, strategy and implementation. This issue also highlights some of our team members and their work: the NYCEAC’s two interns, as well as an elder justice professional, Jean Callahan, JD, MSW who is a NYCEAC Steering Committee member. 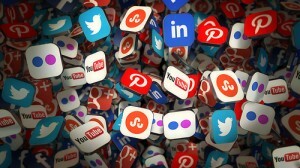 The NYC Elder Abuse Center’s (NYCEAC) increasing use of social media communications is an exciting expansion on our mission to facilitate useful connections and support effective collaborations in the field of elder justice. Social media is one of the most influential mediums for sharing information and building coalitions to address social justice issues today. Platforms, like Facebook, Twitter, YouTube, and LinkedIn, are useful tools for building such communities. Given their discursive nature and capacity for empowerment, they can yield new opportunities for advocacy beyond the confines of cyberspace. Click here for more. We look forward to connecting, engaging and finding new ways to collaborate! I will graduate in December and am working on my final Bachelor’s paper on Elder: Abuse & Neglect. We have a plethora of information out there on this topic, however, we need more people committed to raising funds to house and day care our older people. Thousands are baby boomers and are now at the age of needing good caring people to care for them! I will begin my graduate studies in Gerontology and have taken a personal oath to stand up and give a voice for our older generation who deserve loving care through their end of time on this earth!